50% of the population is suffering gum disease. If you think you are suffering from gum disease, do not despair. 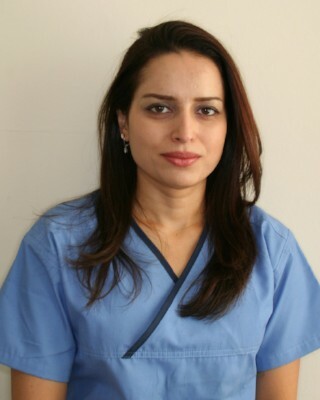 Our caring periodontist Dr Pegah H Pasha, Guildford team at Merrow Park Dental- we are here to help. We will make an appointment for you to meet with our specialist, who will be able to assess your condition and create a treatment plan specifically for you dental needs. If you need a second opinion or you recognise advanced periodontal disease is within your patient then General Dental Guidelines state that the diagnosis be verified by a specialist. This is because at this stage of the disease, loss of teeth and bone is very likely unless treated. Treatment of advanced gum disease is complex and involves a variety of treatment options hence consultation with Dr. Pegah H Pasha is highly recommended to ensure the correct treatment pathway. The next steps - Please contact Merrow Park Dental and we can offer you a consultation with our specialist to provide you advice on your condition, alternatively, if you are with a local dentist ask his/her for a referral to Dr Pegah H Pasha at Merrow Park Guildford. Normally booked 1 week apart and for a duration of 75 - 90min / per appointment. Non-surgical phase is followed by a free review, 4 week after completion of treatment.